If we were to name an accessory that's absolutely crucial in anyone's wardrobe, a watch would inevitably rank high on that must-have list. And rightfully so—not only is it functional (you know, when you're not looking at your phone constantly to tell time), but the right find can also be incredibly stylish and sleek. It's the perfect finishing touch to any look. 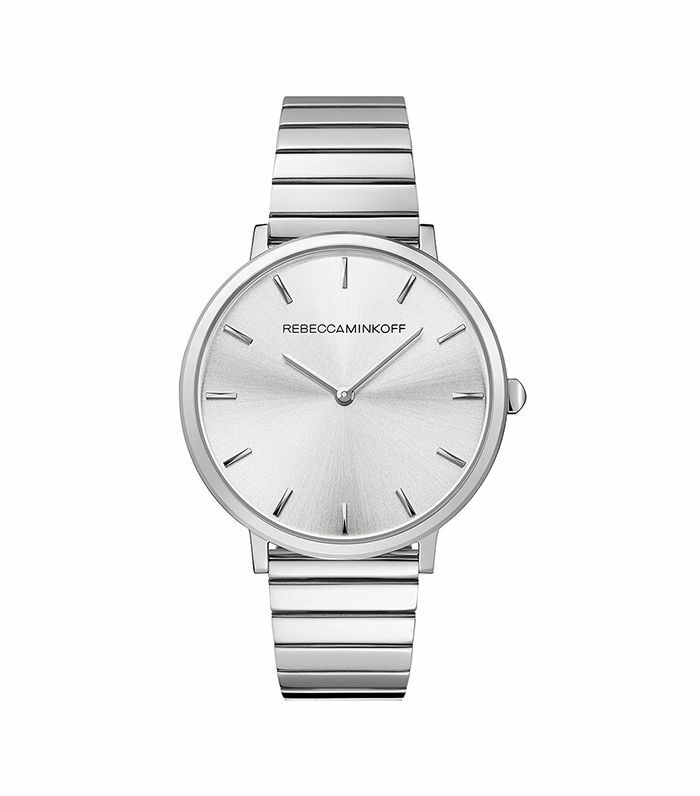 Sure, you may have a go-to you already love, but if you're looking to update your selection, look no further than Rebecca Minkoff's first watch collection in partnership with Movado. While the styles are classic, you'll notice Minkoff's iconic designs throughout—including interchangeable bands, which you'll often see with many of her bags that feature personalized removable guitar-strap handles, for example. Check out the full range right here, including a selection for men from Uri Minkoff—and scroll below to shop a few of our favorite styles. You'll wear this for years and years. For those of you wanting to make a statement. The color of this band feels so right now. This cool watch from Uri Minkoff is perfect for Father's Day. Next, check out the shoe style Zara doesn't think is dead.